If you are thinking about straightening your teeth and improving your smile, you may have come across Invisalign during your research. This innovative brand of removable braces has been making big waves in the world of orthodontics and for good reason. Invisalign braces allow us to correct the position of your teeth in a way that is practically unnoticeable to your friends and family. If you qualify for treatment with Invisalign (book a free consultation at a Smile101 practice near you to find out), there are plenty of benefits to choosing this treatment option, which we will dive right into in this blog. The Invisalign journey at Smile101 begins with a free consultation and a scan of your teeth on the iTero scanner (the latest technology in orthodontic treatment). 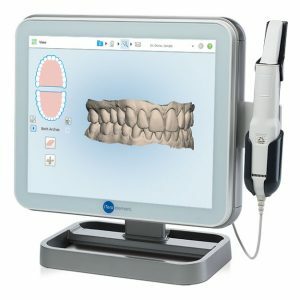 The scan will show you the outcome of your Invisalign treatment and takes an incredibly accurate image of your teeth. If you decide you would like to go ahead with treatment, the images of your teeth are analysed by one of our specialist orthodontists, who then decide the best course of treatment and sends the scans to the Invisalign labs who will create a number of trays for your treatment. Your orthodontist will go through all of the details with you. The number of trays and the amount of time your treatment lasts will be determined by the severity of your teeth. Each tray makes adjustments to your teeth by applying accurate amounts of force encouraging the teeth to move. Eventually leading to the desired results. Throughout the process, your teeth will be scanned and mapped to ensure they are moving as expected. Once you have completed your treatment, your teeth will be scanned again and the results will be sent back to the Invisalign lab to create your Vivera Retainer. No matter what initial treatment you receive for your new smile, you can protect it with Vivera Retainers which are extremely accurate. Retainers must be worn every night after treatment or your teeth will return to their original position. As we have already touched on, Invisalign removable braces are the most aesthetically pleasing treatment option for most patients. The clear SmartTrack material is barely noticeable when worn while being easy to remove discretely before meals. Depending on the corrections being made to the teeth, the patient may require SmartForce attachments to be attached to the teeth. These attachments are small, the colour of teeth and barely noticeable. They make complex tooth movements possible without the need for fixed braces. As with all braces, you may experience some discomfort when you first start wearing your new Invisalign tray. This is due to the necessary force being placed on your teeth to move them to a more desirable position. 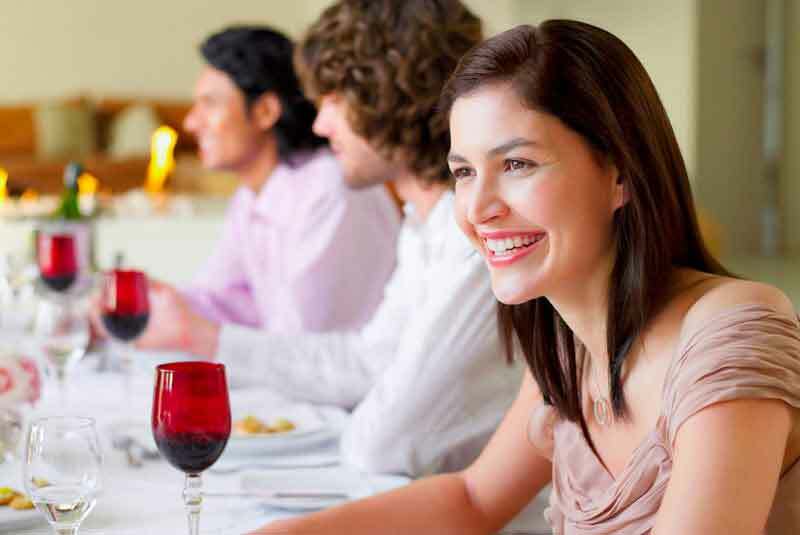 However, the one difference from Invisalign braces and a standard fixed metal brace is the ability to remove the brace before eating and drinking. Removing the braces reduces the risk of breakage while eating, and allows for thorough cleaning when finished. To receive the best results from Invisalign treatment it’s recommended that you wear your brace for 22 hours a day. To avoid discolouring your aligner, remember to remove it before drinking anything other than cool water. With traditional metal and ceramic fixed braces, there are risks of breakage and protruding wire which need to be corrected immediately by your orthodontist (what to do if you fixed brace breaks). When fixed braces are first attached to the teeth or during adjustments they can cause irritation to the lips and mouth. As Invisalign trays are removable and made of the smooth SmartTrack material, you don’t need to worry about irritation. Invisalign treatment usually takes between nine and 12 months to complete. The average time for treatment is 12 months, but this time does vary among patients. A fixed brace can usually take between 12 and 24 months to complete treatment, and if the case is severe, even longer. Find out more about our Invisalign services here.